What’s Wrong with Copying an Executive Resume Sample? A client of mine told me in our initial call that he was so impressed with a resume sample on my blogsite he was tempted to copy some of it. He said that one or two of the opening brand bites described him to a tee and he wanted them in his resume. I explained why he shouldn’t and couldn’t “re-use” content in my samples. Another potential client had actually swiped an entire brand statement verbatim from one of my samples. You can imagine my shock when I reviewed his existing resume, before our initial chat. I set him straight about his mistake. This has happened only a few times that I’m aware of, although I’m sure lots of people are stealing the content from my samples. But they have the sense not to parade it in front of me. 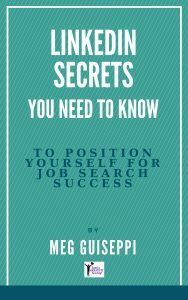 You probably know that thousands of good resumes are readily available online and thousands of resume books are full of thousands more. Because strategic resume writing is always changing to meet the needs of people assessing candidates, it’s a good idea to take a look at up-to-date samples by top resume writers to get a handle on new trends in formatting and how to pull a good one together. But it’s not okay to actually use the content. Why? A great resume uniquely brands that specific job seeker. What you read in a sample may sort of sound like you, but it isn’t really you. Don’t you want hiring decision makers to clearly know what differentiates you from competing candidates and why your ROI value makes you the best hiring choice? You can only do that by differentiating your resume with your own unique brand messaging showcasing your own unique combination of key attributes, expertise, drivers and passions. The achievements on a sample couldn’t possibly be the same as yours. The situations, people involved, metrics and facts are all different . . . even if only slightly different. Your own approach to solving the problems that led to your achievements provide evidence to support your executive brand promise. Don’t settle for generic achievement statements that sound good, but aren’t really authentic for you. 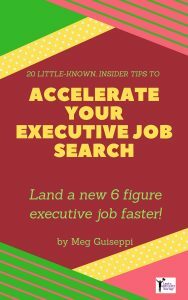 Your resume needs to target specific employers and a specific kind of job, based on your research uncovering good-fit companies and the challenges facing them right now. 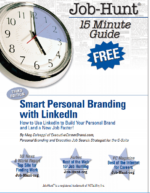 This is how you create branded career marketing communications that will resonate with a specific target. 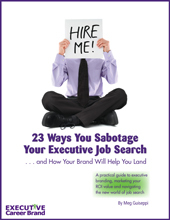 The resume sample you liked probably didn’t target the same employers you’re targeting. The sample that’s tantalizing you can’t possibly align what you have to offer with the current needs of your target employers. You HAVE to determine the key functional areas that will be important to them, and pump your resume with your expertise and contributions in those specific areas. 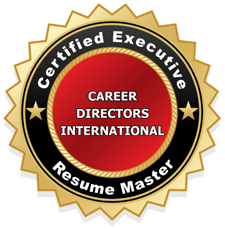 The formatting of your resume and placement of critical information depends upon the compelling content you’ve created and how best to position your value promise to your specific target employers. The sample may be spotlighting things that don’t at all apply to your situation. Even though the resume samples you see probably have fictionalized names and other identifying information, they’re most likely real resumes written for real people who may still be actively job searching. The samples on my blogsites were created for actual clients. The resume sample that you copy may be in circulation right now for the same jobs you’re interested in. It may be hitting the computer screens or desks of the same people you’re trying to impress. How do you think it will impact your chances, if someone reviewing your resume realizes it’s suspiciously similar to another one they have in their files? “Using” published content is stealing and violates the Digital Millennium Copyright Act. 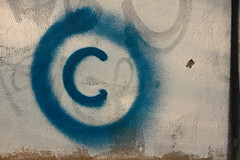 ANYTHING published online is automatically copyrighted to the author, whether or not it carries a copyright statement. Integrity is a critical attribute for any business leader worth her or his salt. Certainly, your ethics should dissuade you from plagiarizing. If that doesn’t stop you, do you really want to risk a law suit that could possibly tarnish your online and offline brand reputation? There’s just no way around it — you have to invest the time and do the work or hire a professional (and still expect to do some hard work), if you want to make your mark in today’s overly-competitive executive job search landscape. But use your head. Don’t present your career coach or resume writer with a resume that includes content from one of their samples. I’m astonished people would even do such a thing. Have they never heard of Tom Peters?! It is shocking, isn’t it, Ed! Perhaps even more shocking is that, from time to time, prospective clients will send me their resumes, and I quickly see that they’ve swiped content from samples on my site. Do they think I won’t notice? Amazing!